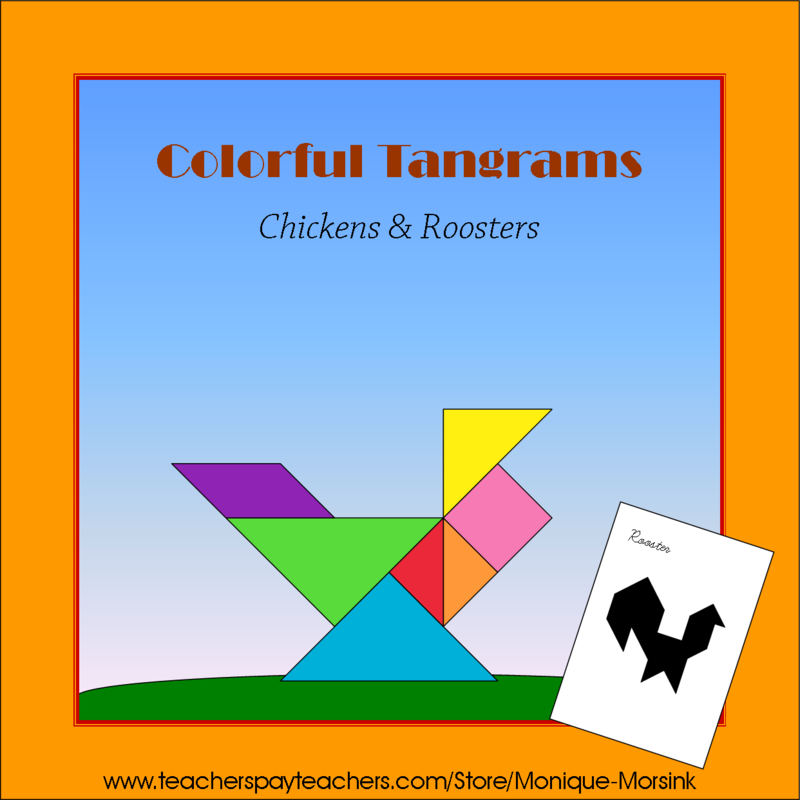 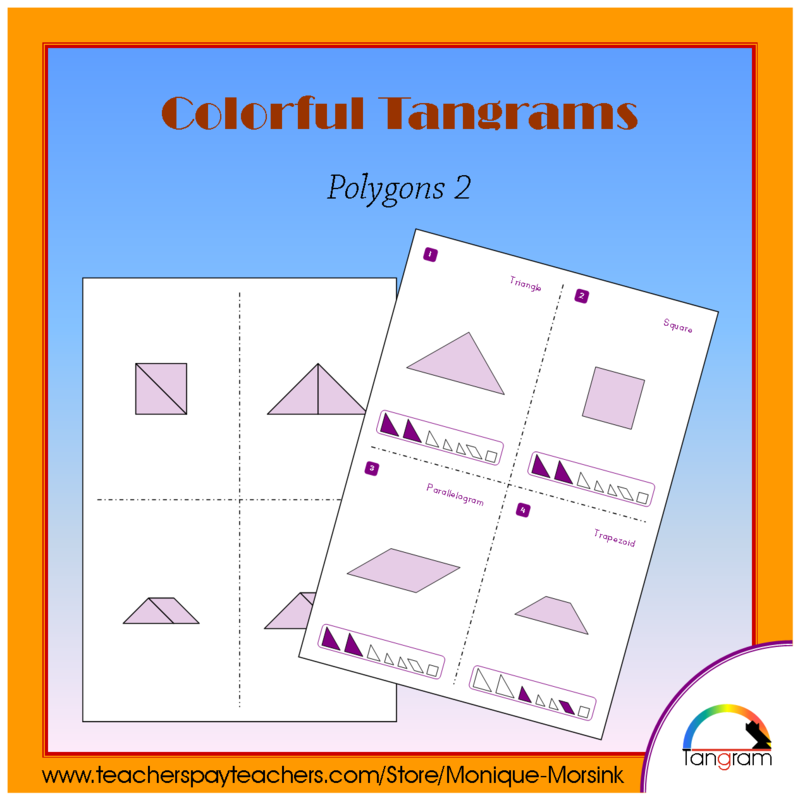 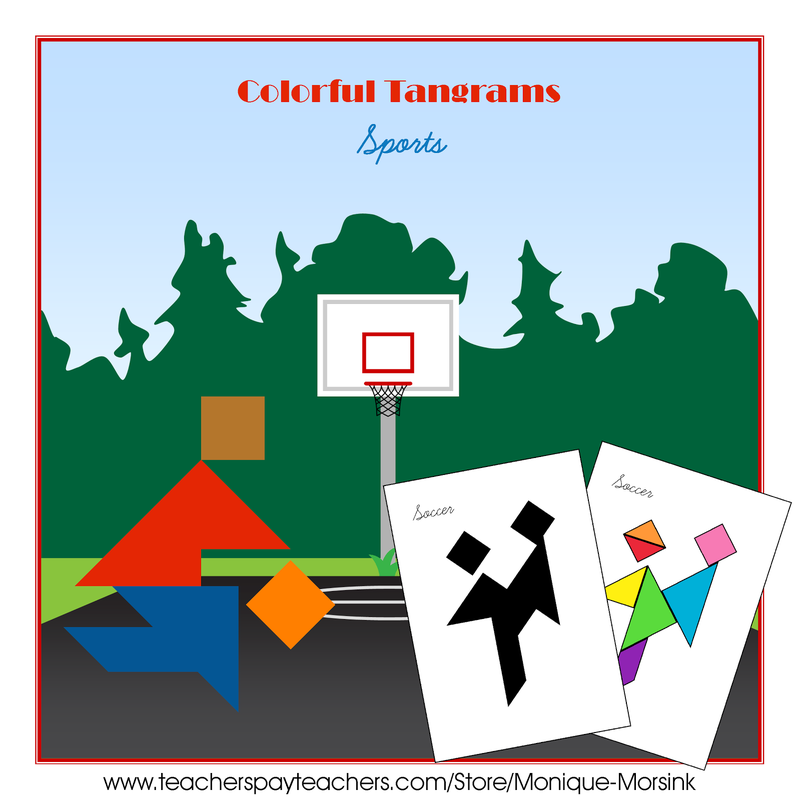 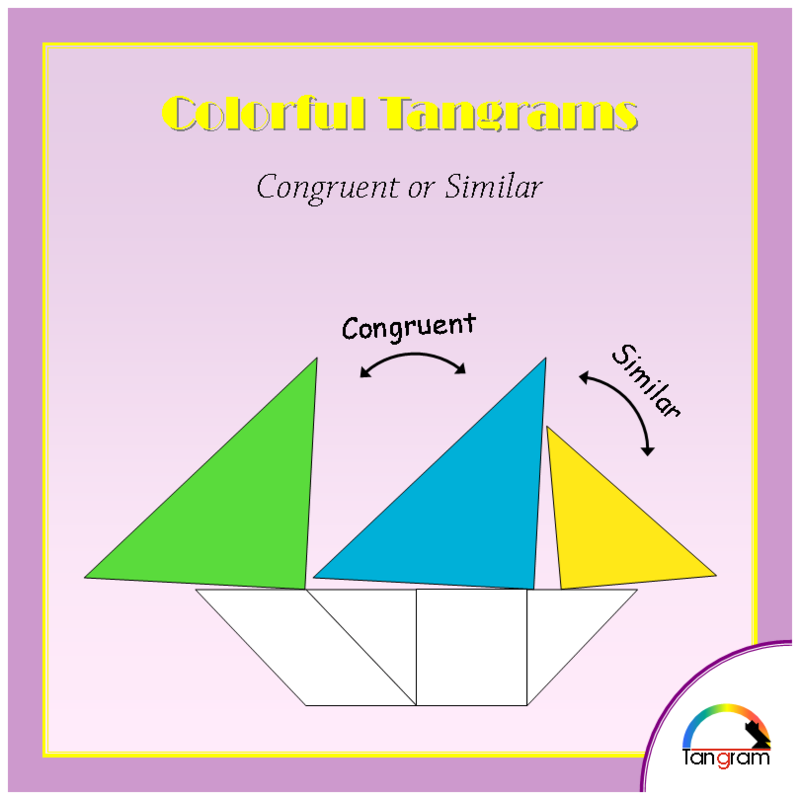 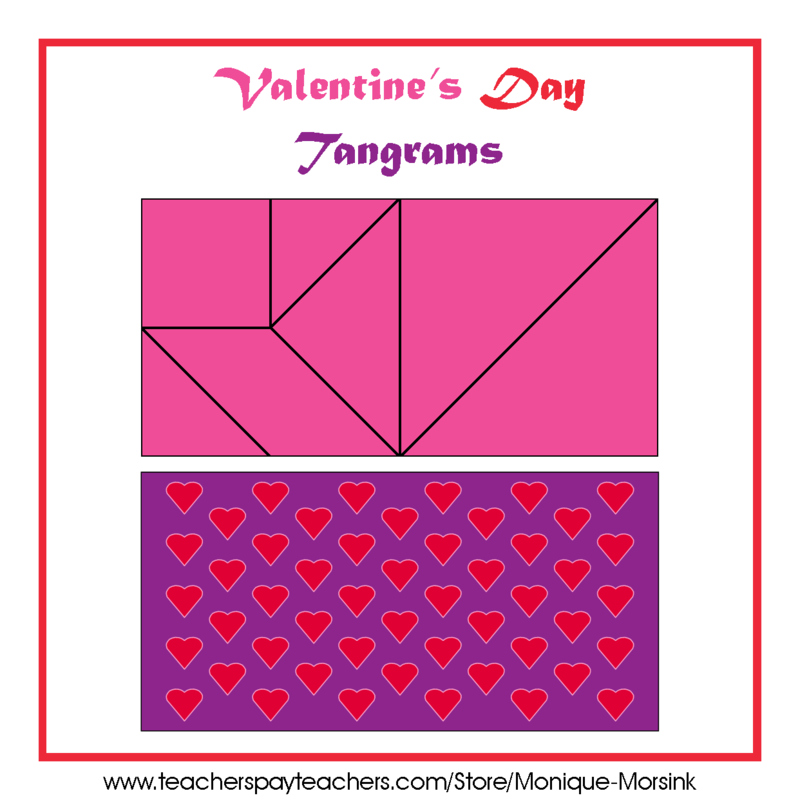 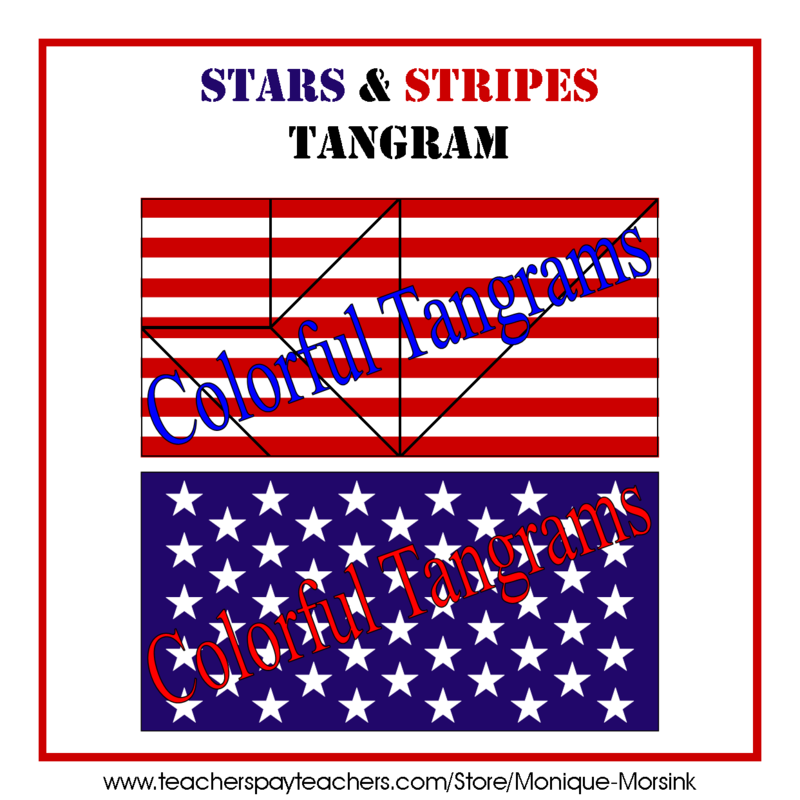 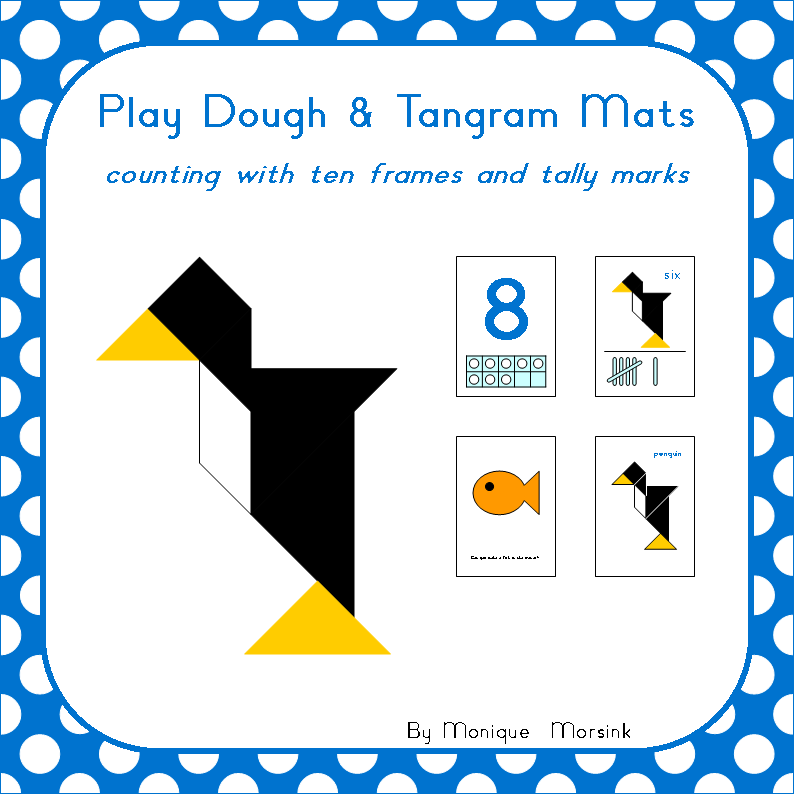 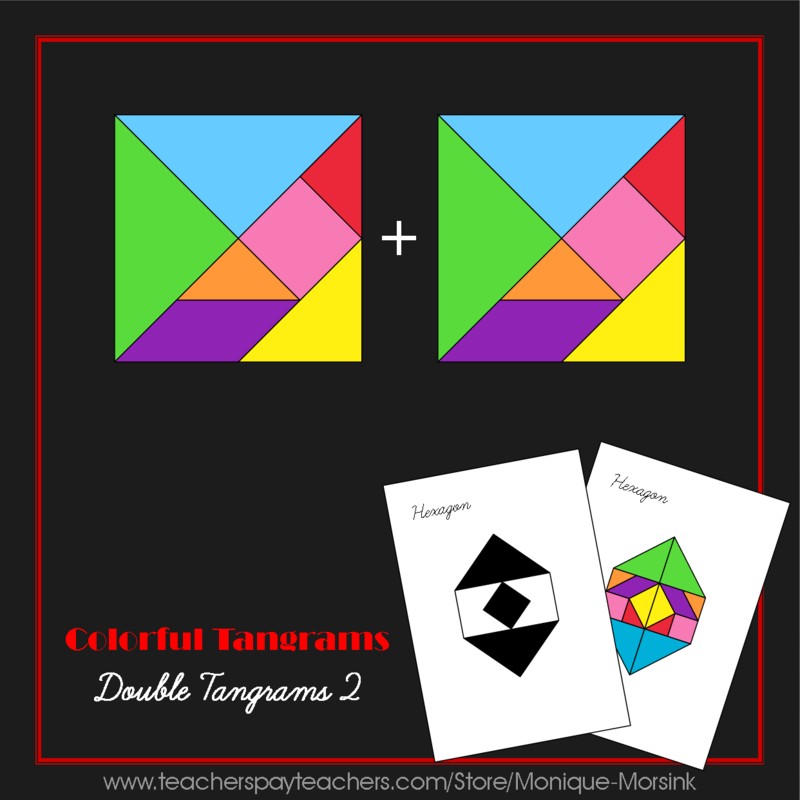 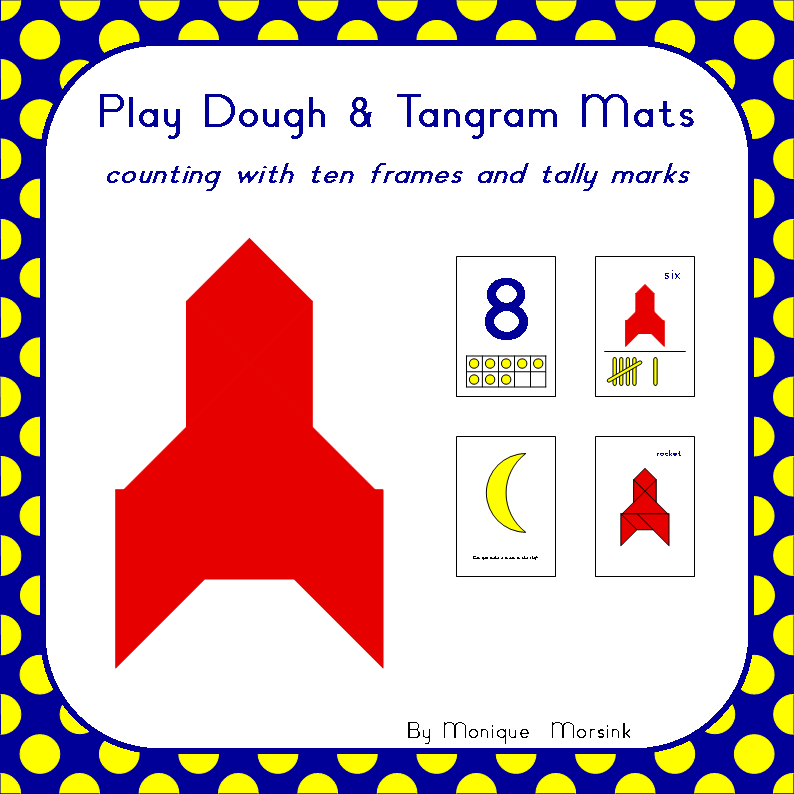 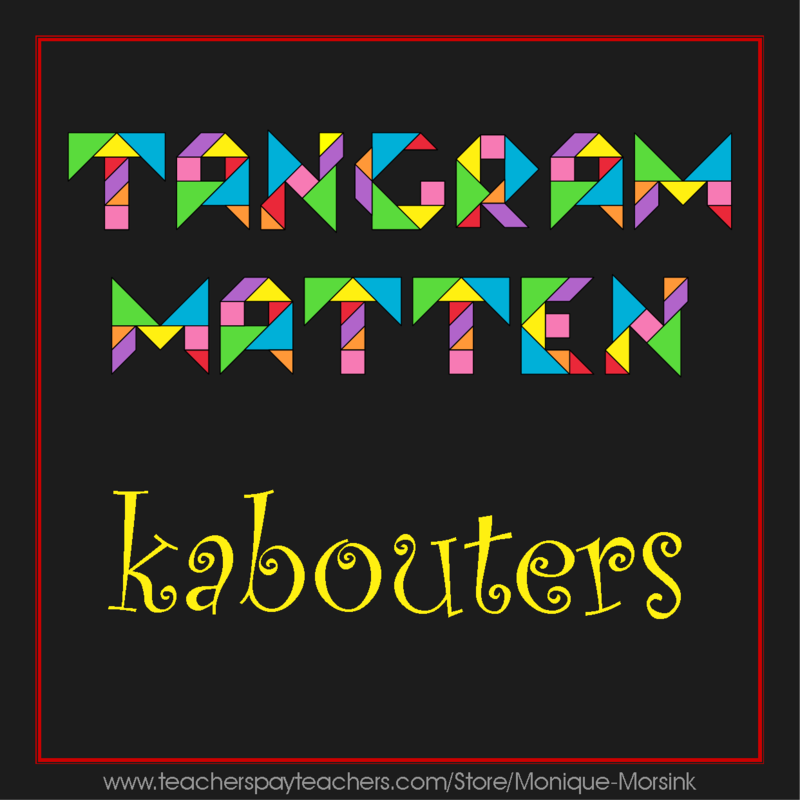 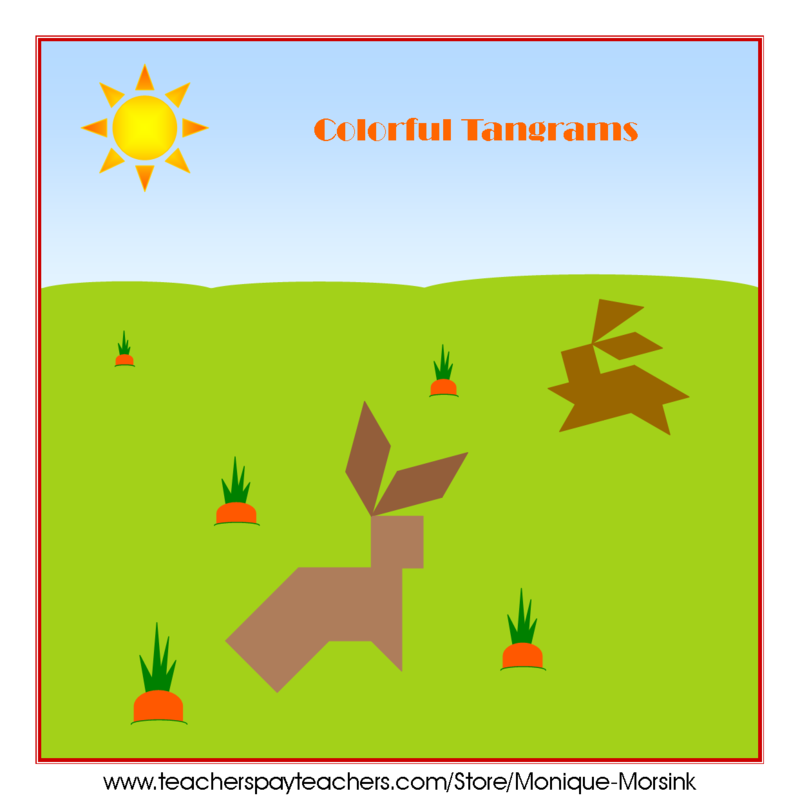 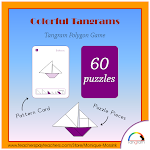 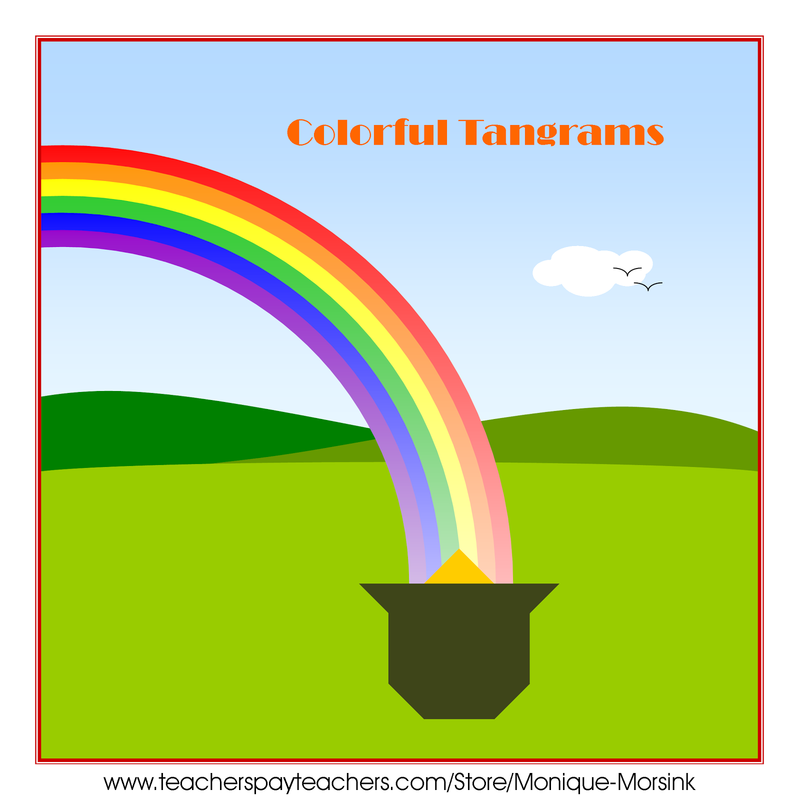 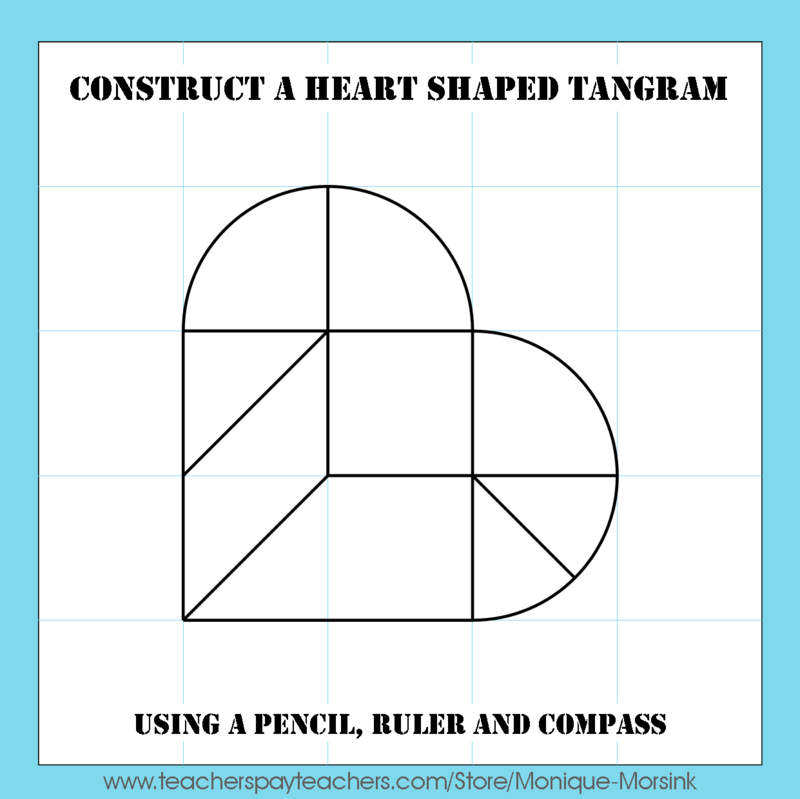 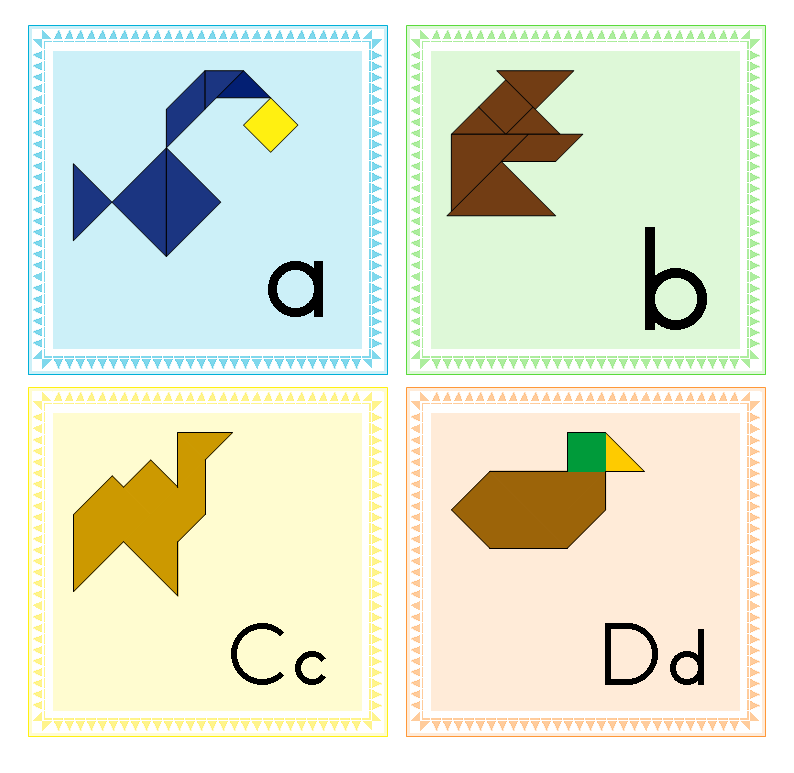 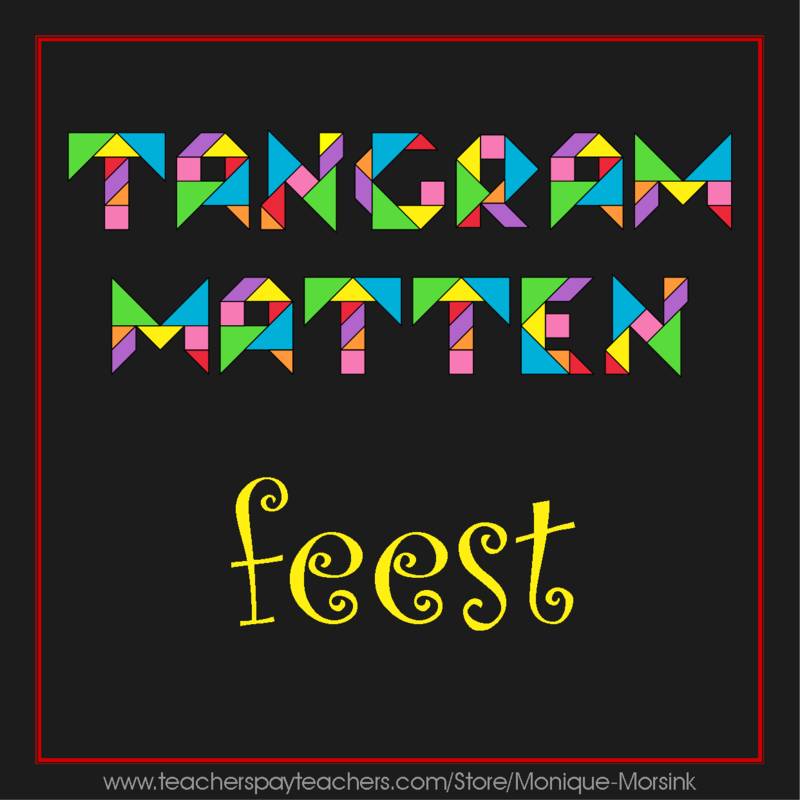 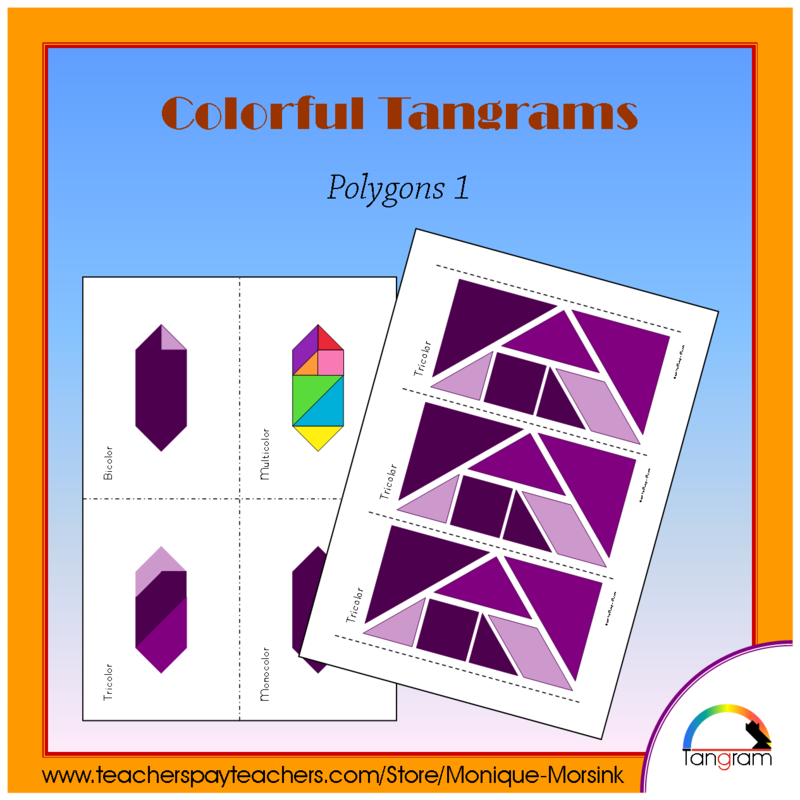 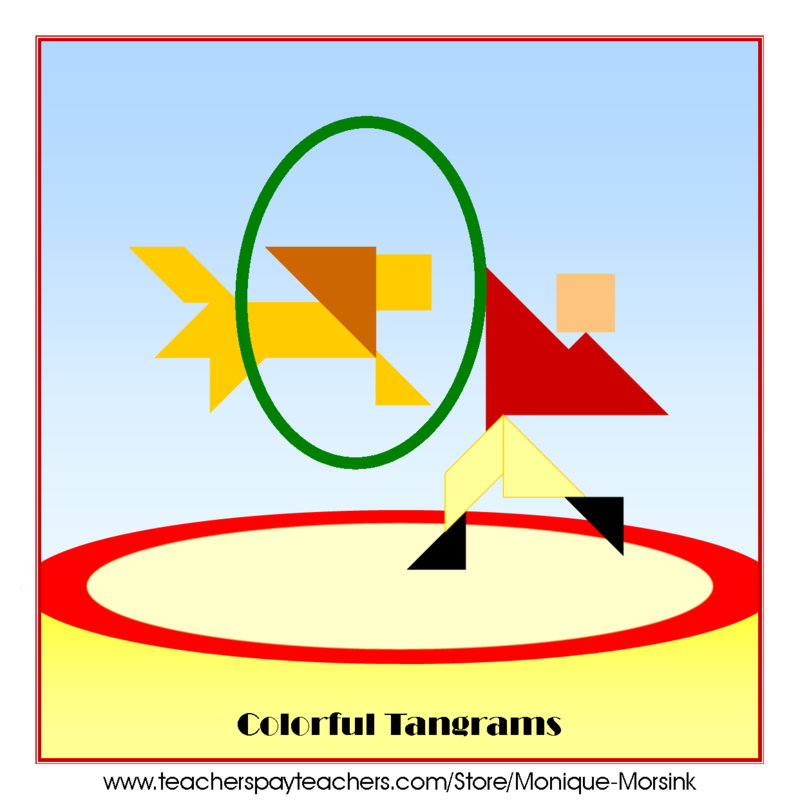 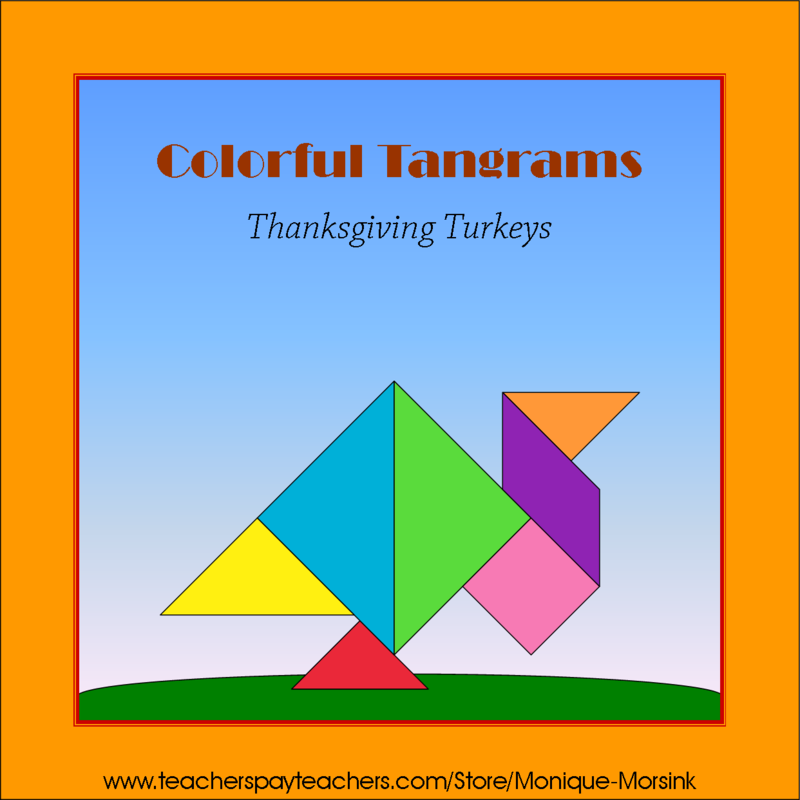 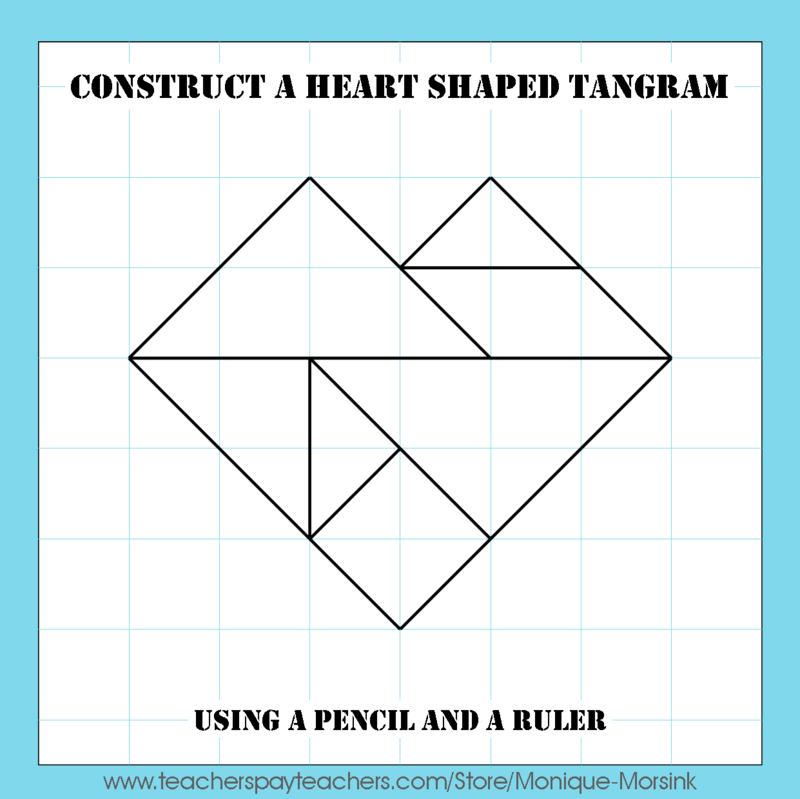 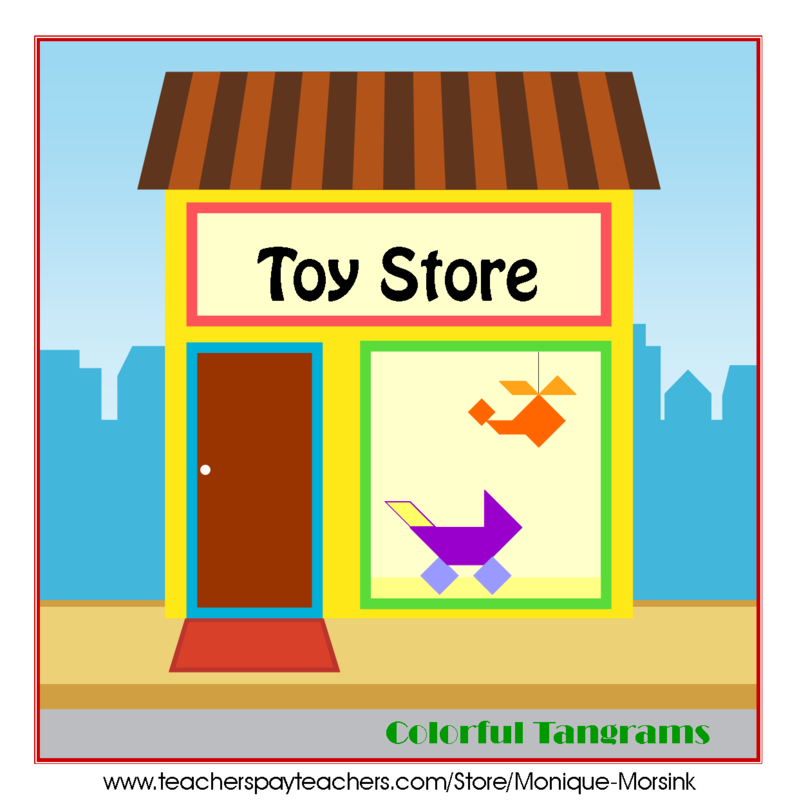 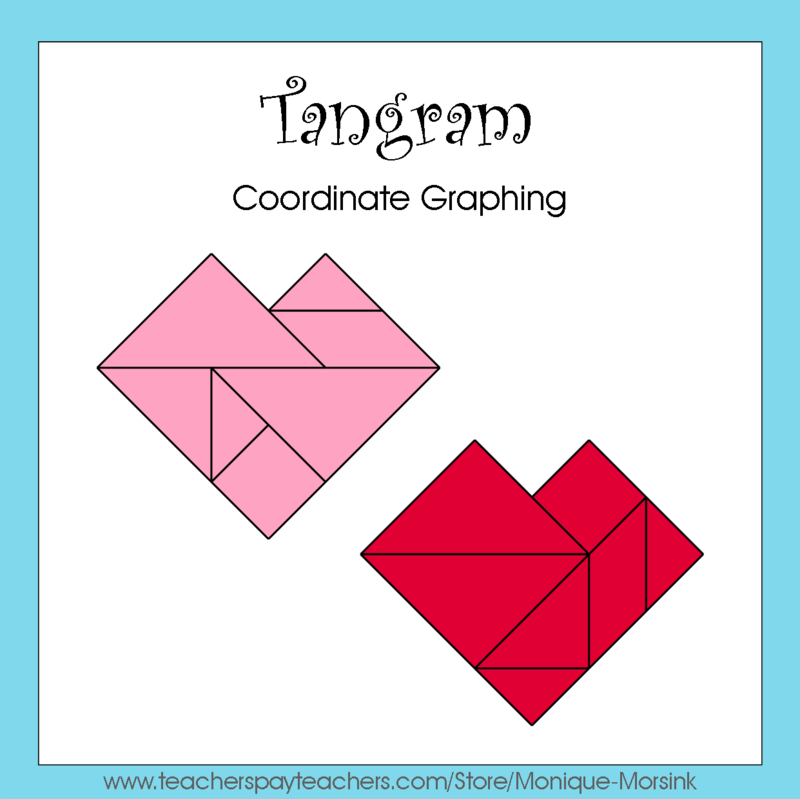 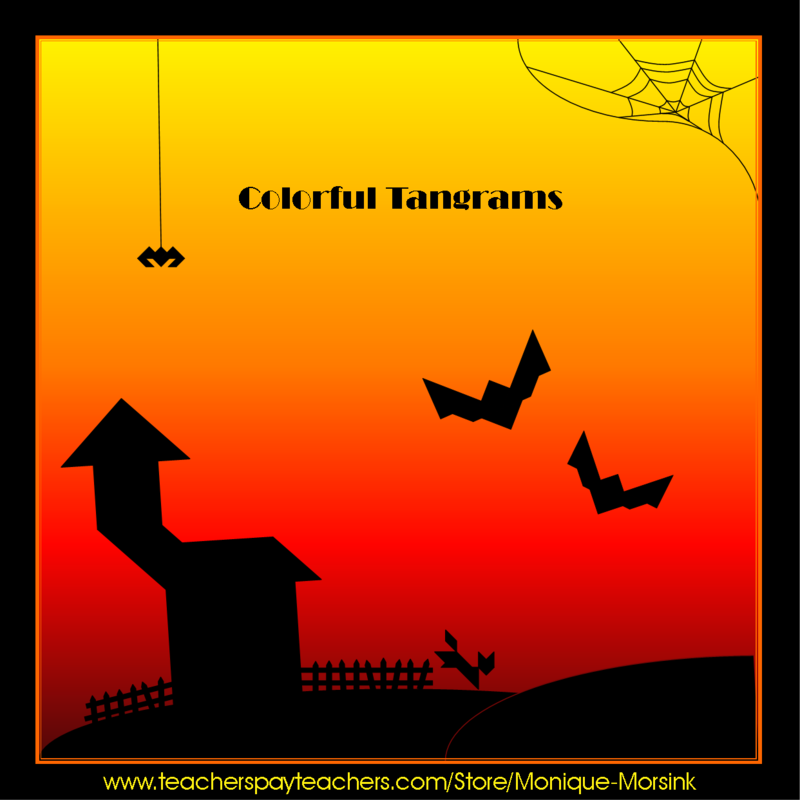 Playing with tangrams is a great way to learn about polygons, explore mathematical concepts like transformations (translations, reflections, rotations) or symmetry and practice spatial awareness, problem solving skills and fine motor skills. 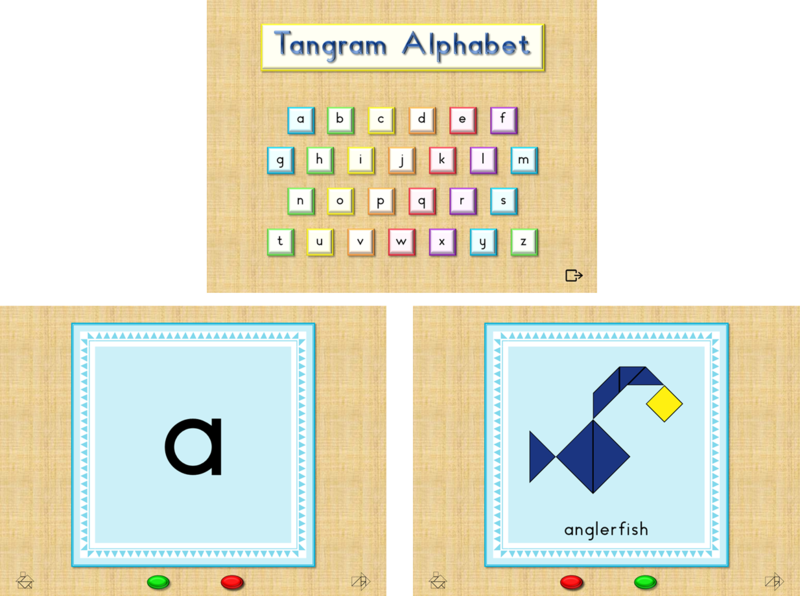 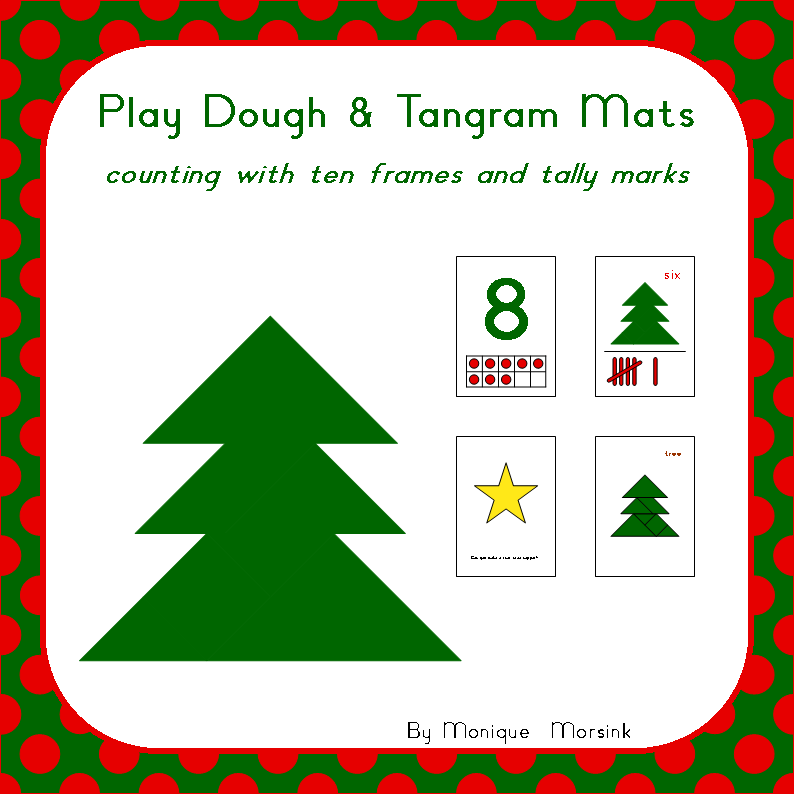 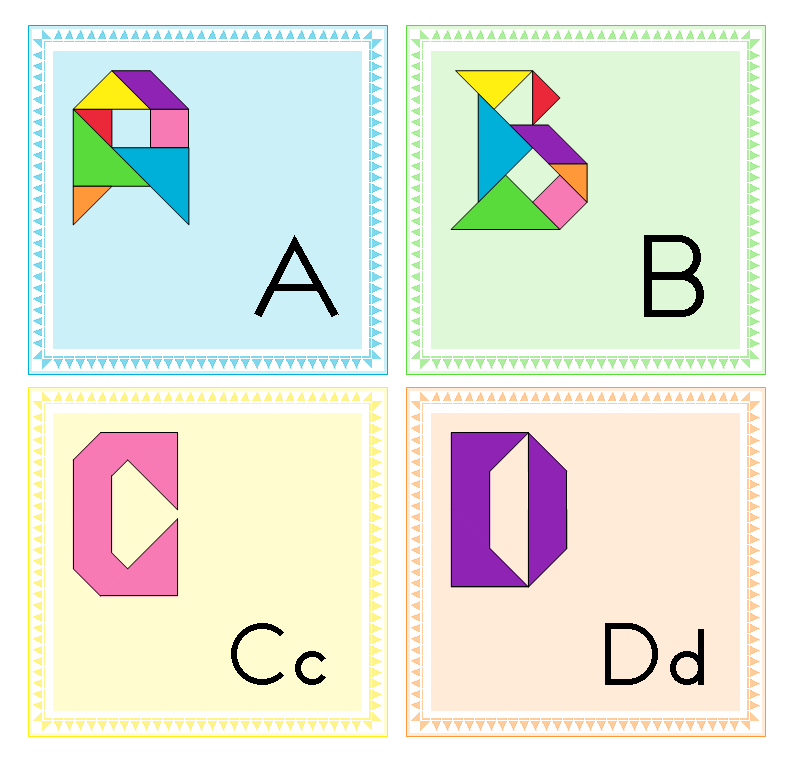 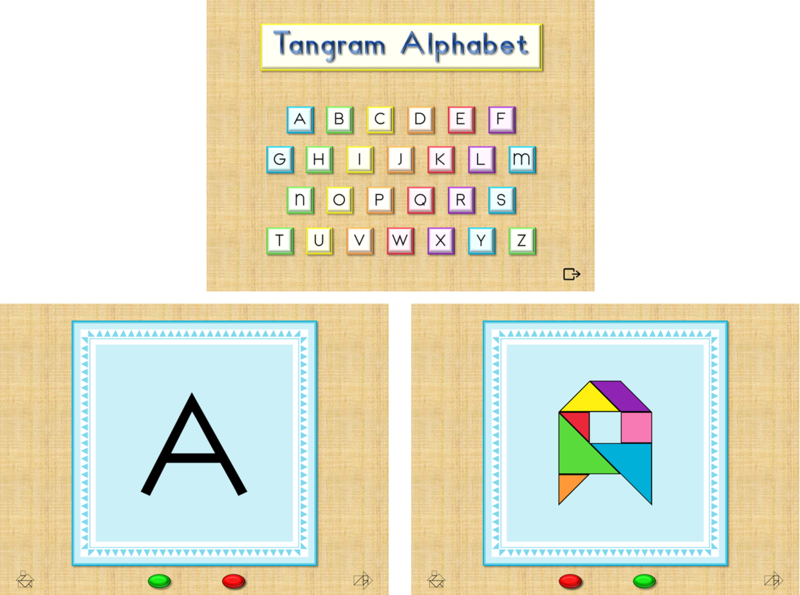 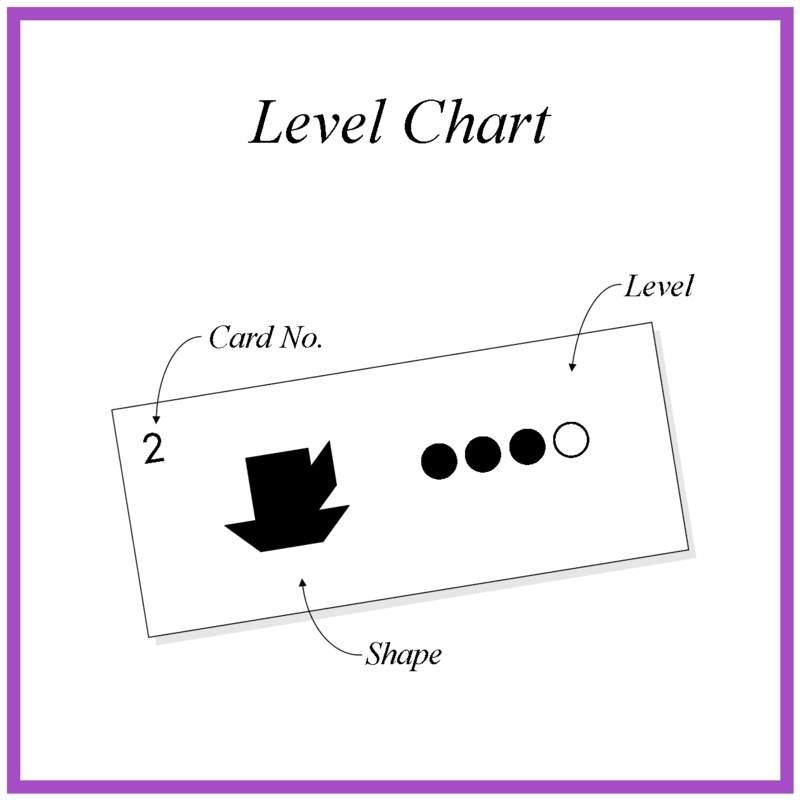 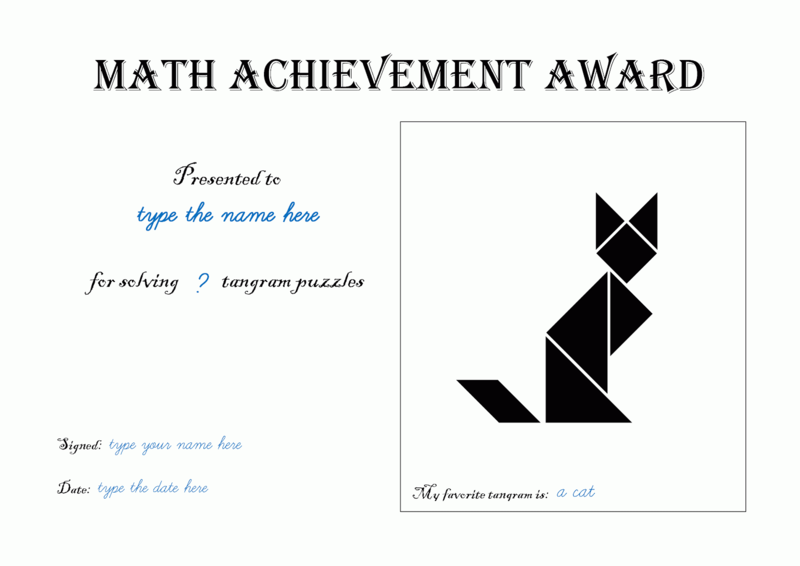 The objective of the game is to recreate the tangram shapes next to the puzzle cards using all 7 puzzle pieces (1 square, 1 parallelogram, 2 small triangles, 1 medium triangle and 2 large triangles). 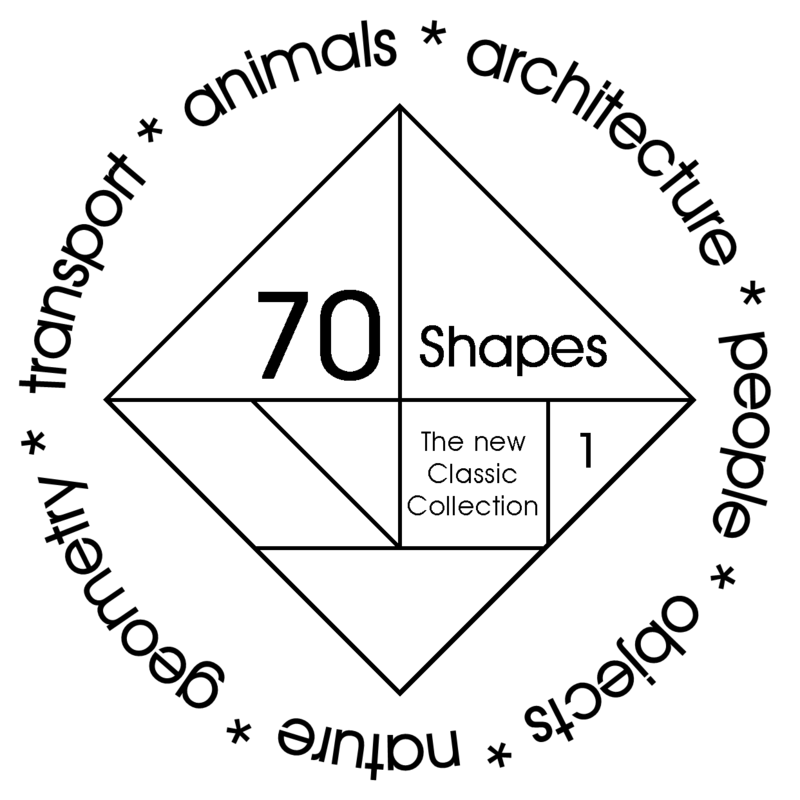 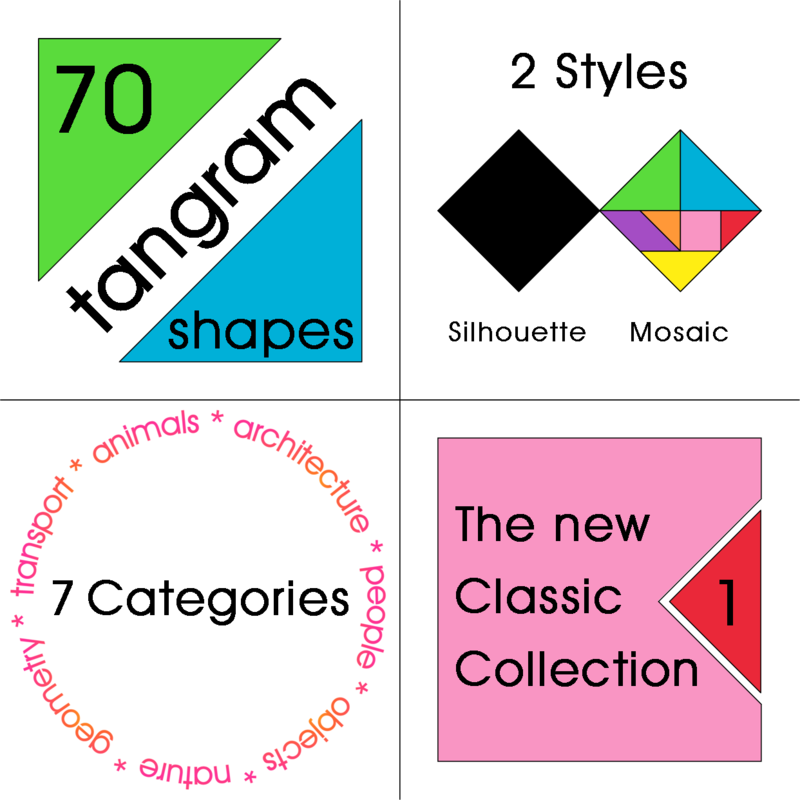 For this unique ‘Classic Collection’ I have selected the most clear and recognizable tangram shapes from my huge private collection. 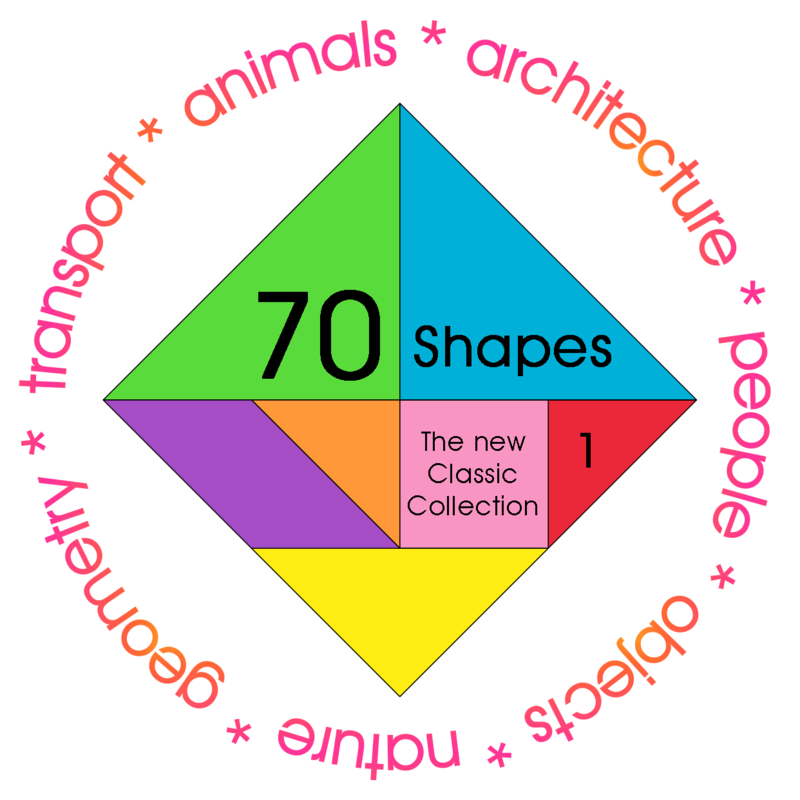 It has become a nice mix of ancient shapes and modern shapes. 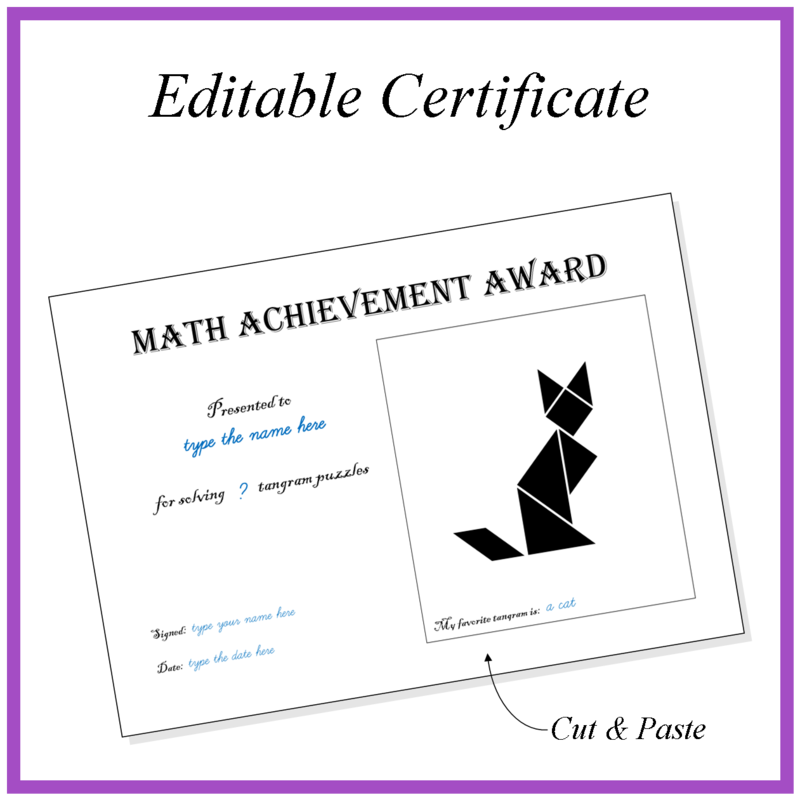 I am sure your kids will love them! 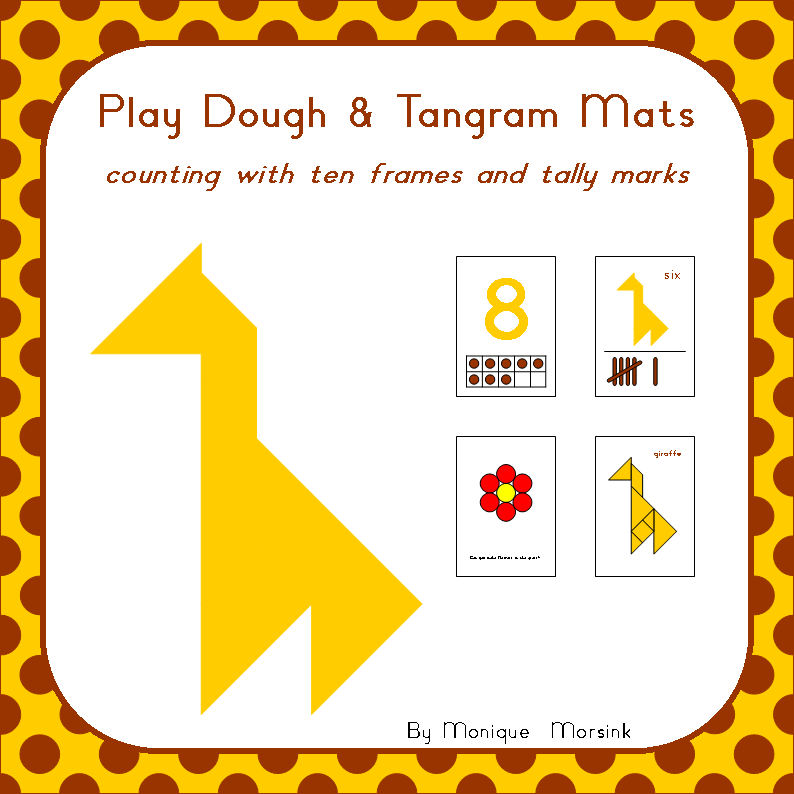 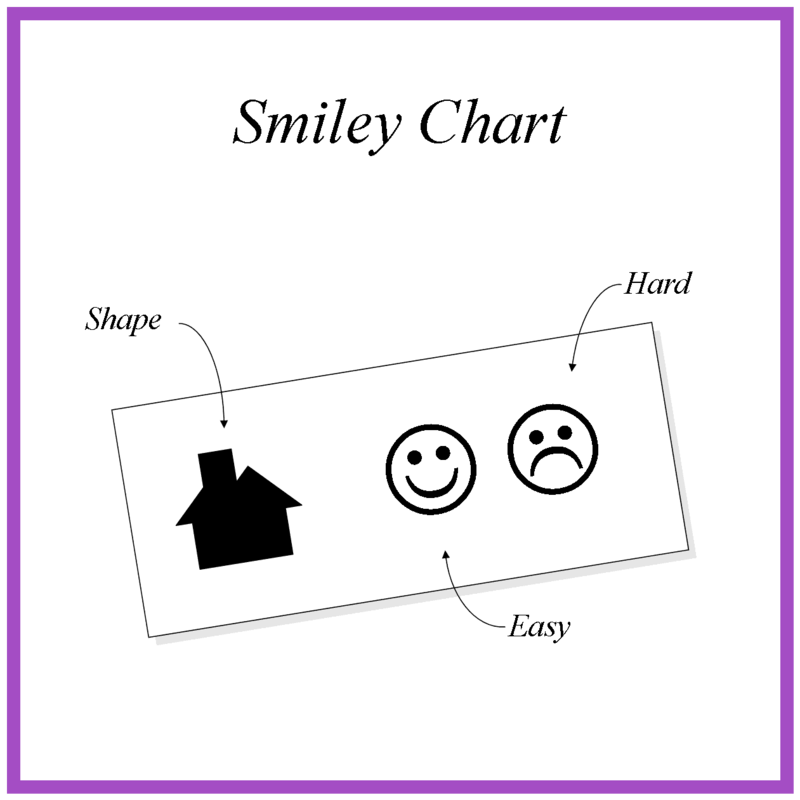 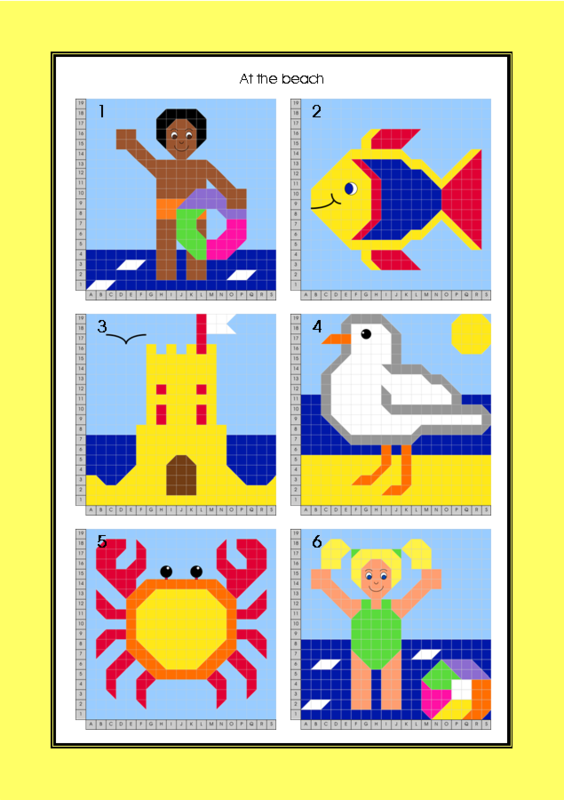 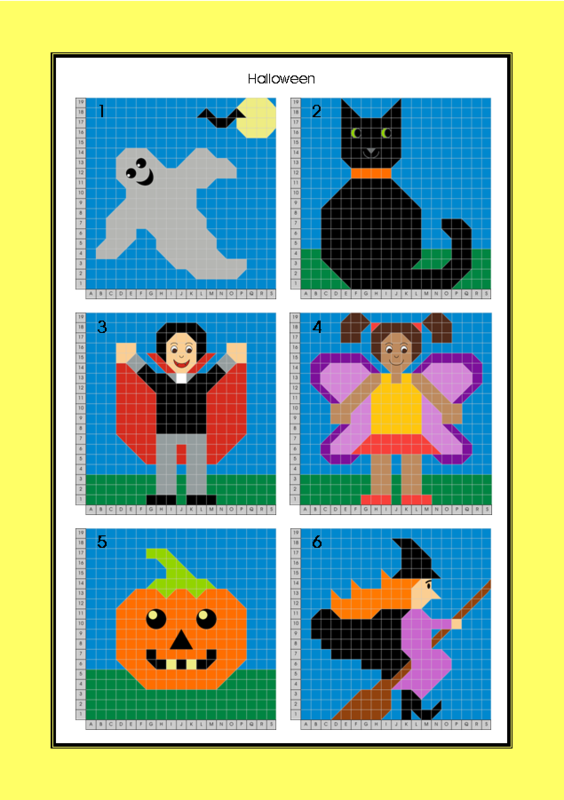 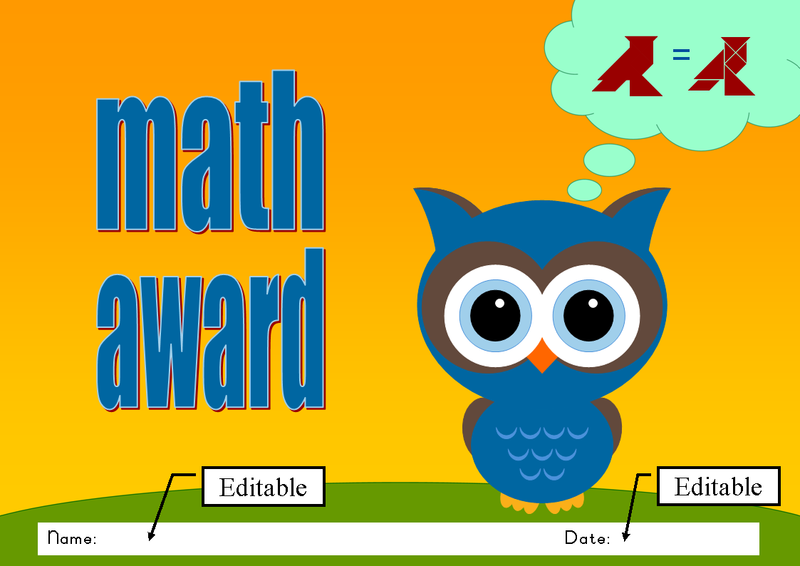 Please feel free to download the preview and read the full instructions here. 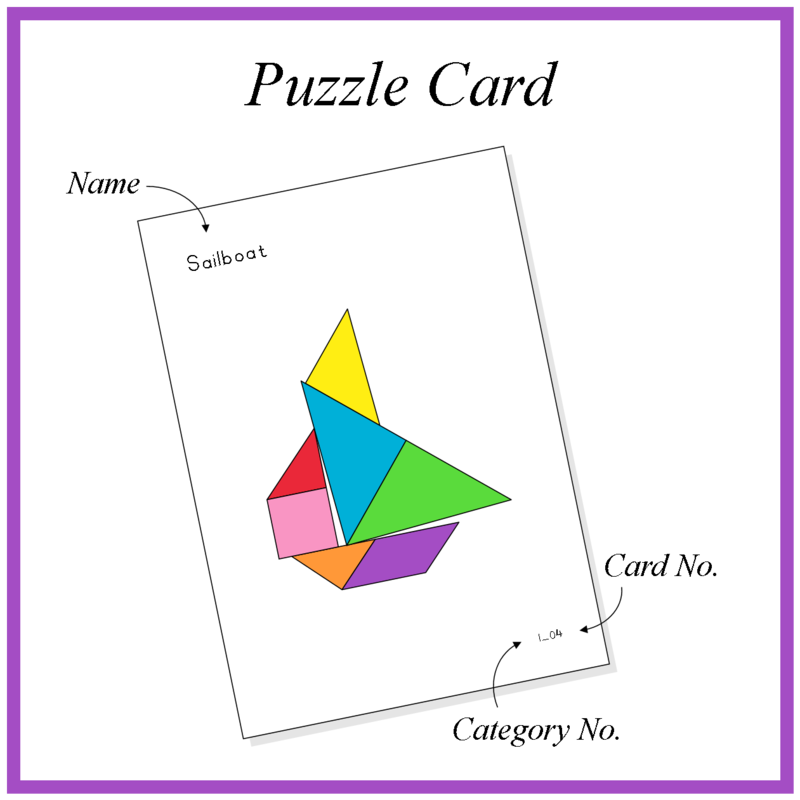 You can buy this great pack here.